Liserberg is an amusement park located in the heart of Gothenburg city. Not very often do you have amusement parks as big as Liseberg located in the heart of the city. Liseberg is the largest amusement park in Scandinavia and the second largest in Europe after Disneyland Paris. Picture of the Liseberg Rabbit which serves as their mascot. In 2005 the Liseberg amusement park in Gothenburg was voted one of the top 10 best amusement parks in the world by the Forbes Magazine. The park attracts a bit over 3 million people annually. The park is open during the Swedish summer and also two months during the Swedish winter. When the park is open in winter the entire park has a special Swedish theme and is full different types of winter animals like Swedish reindeer’s. The Liseberg has about 40 different rides for you to try and there are rides that are suitable for all ages. They add new rides for every new summer season. 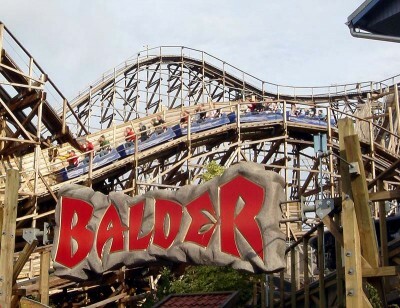 One of their most famous rides is the wooden roller coaster Balder which has been voted the worlds best wooden roller coaster twice (in 2003 and 2005). Picture of Lisebergs wooden roller coaster Balder. 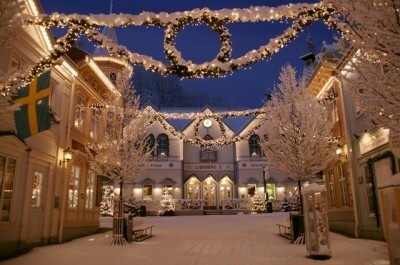 The Liseberg theme park is also frequently visited my big singers and other famous performers. Some of the big names that have performed at the big stage at Liseberg are Bob Marley, The Rolling Stones, Led Zeppelin and many others. There is a sea of restaurants within the Liseberg amusement park with food from around the world. Doesn’t matter if you are craving Chinese, Italian, Turkish, Traditional Swedish and even German food you will find all inside Liseberg. 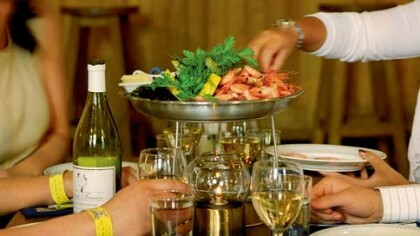 Picture of Swedish seafood platter from the Liseberg restaurant called Hamnkrogen (The harbour restaurant). The park even offers a real German Tyrol which has a big selection of foreign beers and typical Tyrolean food. Entrance to the Liseberg amusement park is 80 SEK per adult and children below 7 years of age can enter the park free of charge. A pass which gives you unlimited rides during a full day is 295 SEK. You can buy ride tickets and a ride ticket is 20 SEK. A ride costs between 1 – 3 tickets. Beers being served inside Lisebergs German Tyrol. Lisebergs German Tyrol from the outside. From within Gothenburg city you can transport yourself to Liseberg within just a few minutes no matter what transportation system you may use. Liseberg is fully owned by the Gothenburg city.